WEST SACRAMENTO, CA. 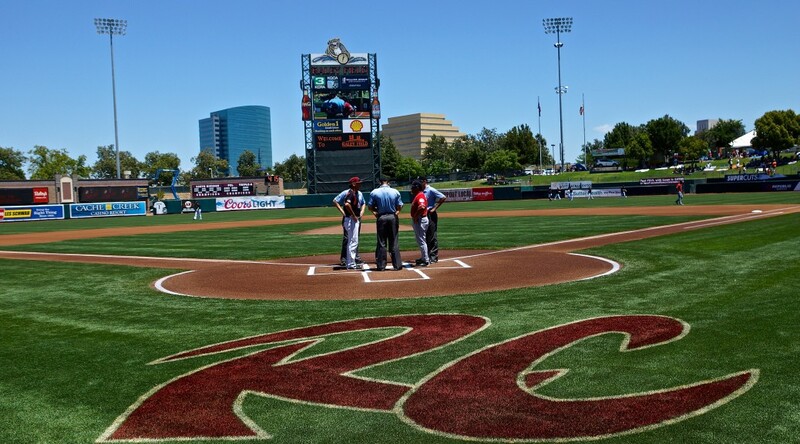 -The Sacramento River Cats are excited to welcome DeVry University to Raley Field tonight, Friday, July 31 for their series finale with the Las Vegas 51s. The River Cats are recognizing DeVry’s “Member of the Month” Karl Immer. Immer will enjoy a unique ballpark experience, including a tour, batting practice viewing, and exclusive seats for tonight’s contest. He will also throw out a ceremonial first pitch. DeVry University’s mission is to foster student learning through high-quality, career oriented education integrating technology, business, science and the arts. Founded in 1931, the university offers undergraduate and graduate degree programs onsite and online covering 34 different career fields within its five distinguished colleges of study; Business & Management, Engineering & Information Sciences, Health Sciences, Liberal Arts & Sciences, and Media Arts & Technology. The university is institutionally accredited by The Higher Learning Commission and is a member of the North Central Association of Colleges and Schools, www.ncahlc.org. DeVry University provides an education that prepares its students for a lifetime of success with dedicated faculty and staff who are committed to their students’ academic success. Its highly credentialed faulty members work in the fields that they teach, providing real-world experiences that prepare students for in-demand careers.